Unfortunately, there are a lot of scams out there that are trying to steal our personal information. In particular, a group that is most at threat from these scams is seniors. This is usually because you are retired and have money, as well as being classed as easier targets. Seniors in general are less likely to know as much about technology as the younger generations. In the minds of an online scammer, this makes you the best people to fall for their lies. But, when you know what scams to look out for, you can make sure you don’t because the next victim of a scam. So, let’s have a look at the five most common senior scams there is and how you can avoid them! When you go into your inbox in the morning, how many emails do you have from people or companies that you don’t know? Chances are, you have quite a few. It is common for people to pretend to be companies in order to get a hold of your usernames, passwords and bank account details. This can be through pretending your account will be blocked unless you send your details or alerting to you click on the link provided to confirm some information. But, all they want to do is scam you out of your money! To identify what emails are fake and what ones are real, have a look at the sender’s email address. If it looks suspicious and doesn’t add up, chances are this will be a scam. In addition, be sure to never click any links or open any attachments that they send you. This will take you to a fraudulent website that can harm your computer or want your personal details. If you are ever in any doubt about the legitimacy of a company email, phone them up and ask. This way they can alert you as to whether it is real and if you should just delete it. Do you keep getting a popup window on your internet browser telling you that you need to update or download their antivirus software? This is a common way to get malware on your computer or a virus that could destroy your system. The popup window may even say that your computer is currently infected, but this is just another way to scared you and make you download their link. The best thing you can do is install your own antivirus software from a reputable and well-known company. This will cost money but you will know that your computer is safe and you can ignore these popup windows in the future. Have you been browsing online and a survey suddenly pops up saying you could win a new iPhone or computer system? Unfortunately, a lot of seniors will experience this when they are online and some of them will click on it thinking they can answer a few questions and win a prize. 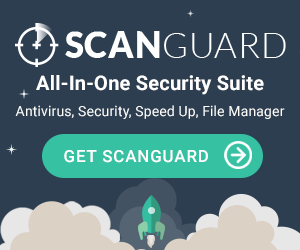 But, while the survey looks innocent, it is another type of scam that can lead to have spyware that is malicious for your computer. With anti-virus software, you can prevent these popup windows from occurring. Ever received an email saying that you had won the lottery but you had never entered it in the first place? This is a scam that is often aimed at seniors, hoping that you will give your bank account details to them. They may congratulate you on your winnings and request your information for them to deposit the amount of money, but the truth is that it is all a scam. So, this is an email can be moved to your junk folder and deleted. Even if you have entered the lottery, it is unlikely that you will receive an email saying you have won. Always check your lottery numbers online through the official website to make sure before email anybody or clicking any links. One of the oldest scams that you will find that is now targeted at seniors is the Nigerian 419 scam. This is when you receive an emotional email from someone in a different country that claim that have a lot of money in the bank but need help to access it. In return for you initially paying some of the legal fees, they will pay you a large sum of money once they have the account. But, you guessed it; this is a scam! The best thing you can do if you receive a message like this from someone you don’t know is to delete it straight away. They want you to send them money and you will get nothing in return like they say you will. So, delete the email from your inbox and move on. They may even send a follow-up email, but this is just to make you believe that it is real. Again, all you have to do is delete it.